Add dry ingredients to creamed mixture. The batter will be very thick. Add the diced apples. Butter & flour muffin tins or use paper liners. 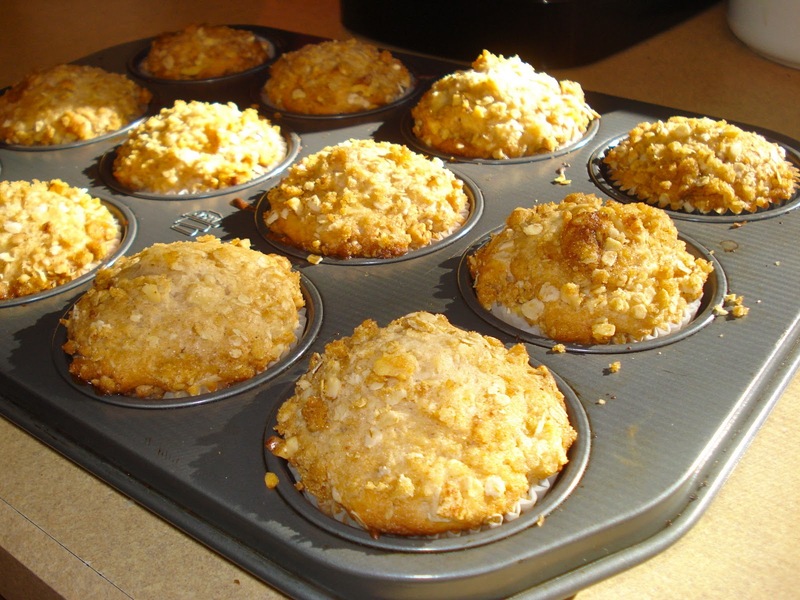 Fill muffin tins to the top. Sprinkle with topping.